Have you been saving old denim clothes just waiting for the perfect project? Here’s a few projects for denim. One of these might be just right for you! Add squares of denim to novelty prints to create a unique Recycled Denim Spy Quilt. Smaller bits of denim are used in the pieced border. Recycled Denim Skirt and Purse from Carolyn’s Creative Designs shows you how to make a skirt from the top of your jeans and a purse from the leg. Hmm, that leaves one more leg…. make a purse for a friend? Lots of variations with this pattern. Add lots of length for a modest, really comfy skirt. Or keep it short and flirty. Or meet in the middle! Carolyn’s Recycled Denim Tote or Purse pattern encourages you to add your imagination and creativity to the project. The generously sized tote can be made from many different shades of denim and you can embellish to your heart’s content. Here’s another Jeans Tote Pattern. This one will go together quickly, and can be dressed up with a colorful sash. Shop the thrift store for different sized jeans and make extra-large-hold-everything sized totes or cute little tiny totes from little kids jeans! Create a Denim Shirt Jacket by starting with an old denim shirt. Modify the bottom, add some applique for your favorite season, add trim for the collar and cuffs. Result: a one of a kind jacket that reflects your personality. Dig out your old jeans or visit a thrift store and do some recycling! Happy sewing! 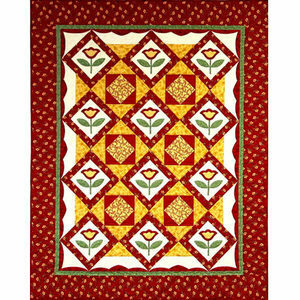 Have you ever fallen in love with a border fabric so much that you planned your quilt around it? Subtle Song border fabric will actually give you several border options. Use just the birds, or just the butterflies/dragonflies, or even just the blue/green/blue stripe. There are also several combinations you can use. 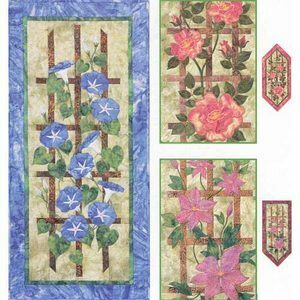 Parts of this border fabric would also work as sashing. Called Buttons & Blooms, this is a personal favorite – it just speaks to me! The buttons, the flowers, the swirls, they are all so pretty and uplifting. How could you not be happy with this fabric?! 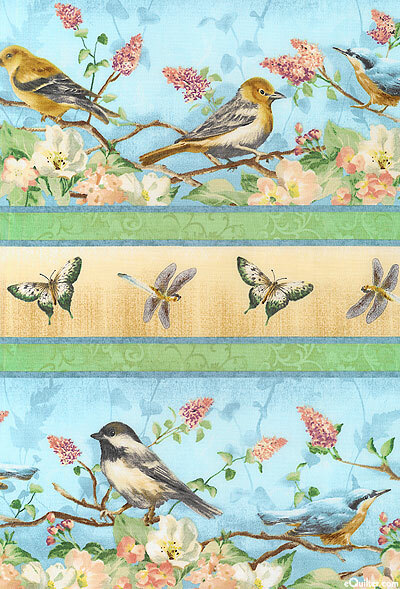 If you want to “put a bird on it” there is a perfect companion fabric of light beige with whimsical, happy birds. 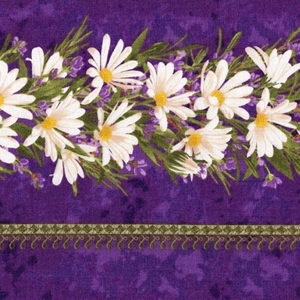 Simple Pleasures is a vibrant border of elegant, deep purple with white daisies and little wisps of smaller lilac colored flowers. It’s such a strong look that you’ll have to be careful not to let it overpower the rest of your quilt, but with the right blocks and companion fabrics you’ll have a striking quilt. Laurel Burch Flying Colors offers plenty of color! 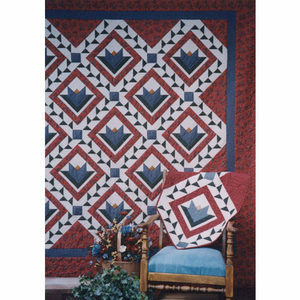 Great for quilters who embrace color, but a good choice for those who are a little afraid of it. 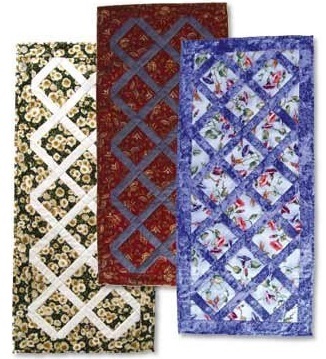 All you need to do is match a few colors from this border and you will have a stunning quilt. 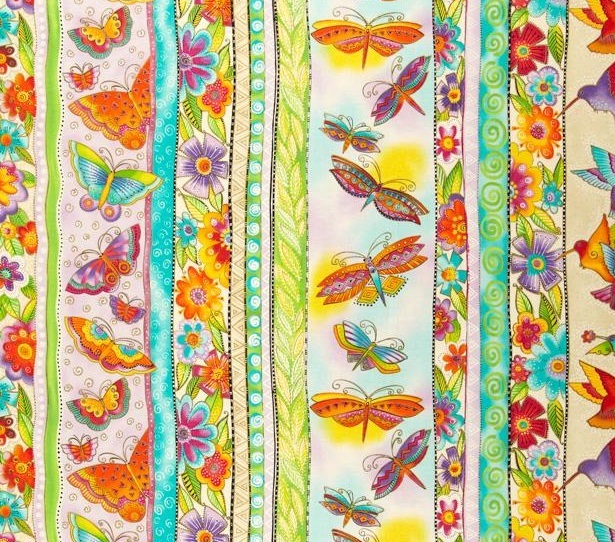 Several columns of butterflies, birds, and flowers provide lots of choices for borders and sashings. Go ahead and switch things up a bit when you plan your next quilt and start with the border fabric. Happy quilting! In our neck of the woods… wait, let me rephrase that…. here in our corner of the prairie, we had a snow storm earlier this week and are now enjoying sunshine and warming temperatures. Shoveling the snow revealed a few green leaves of tulip bulbs that had just broken the surface of the soil. We should be enjoying colorful displays not too long from now. 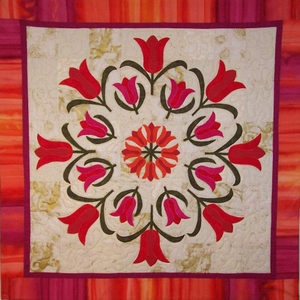 In the meantime we settle for tulip displays on quilts. 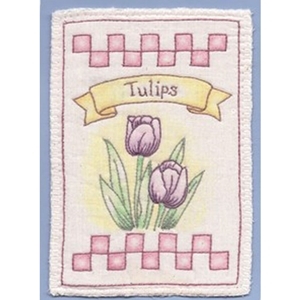 Beautiful Coventry Garden Tulips in your favorite colors combines easy piecing and applique. Your garden will bloom soon! Just one Tantalizing Tulip, but that’s all it takes to brighten our day, just one. 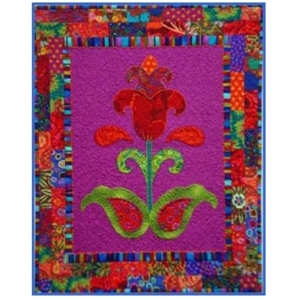 Pull out your bright scraps and applique this art deco type flower. Another lone bloom, Tender Tulip looks romantic and graceful. Thoughtful selection of your background fabric makes this a dynamic little quilt. Finishing at 9″ x 12″, it’s just right for a hostess gift, Easter gift, or “just because” gift. Tulip Festival is shown with a light background, but it would also look great with vibrant colored flowers on a dark background. 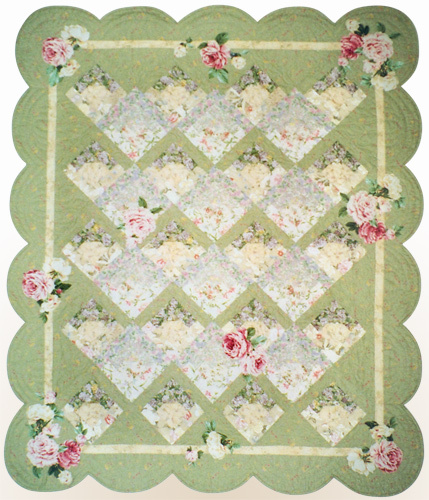 This wallhanging finishes at 36″ square. Here’s a quick project that you’ll be able to finish before the real tulips show up. 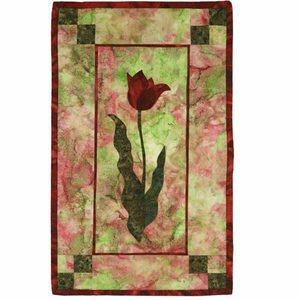 A pre-printed, pre-colored design Heirloom Tulips just needs embroidery to be finished. The size is 4″ x 5″. 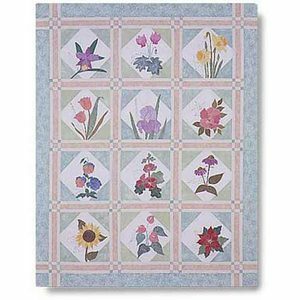 Enjoy stitching your spring garden.